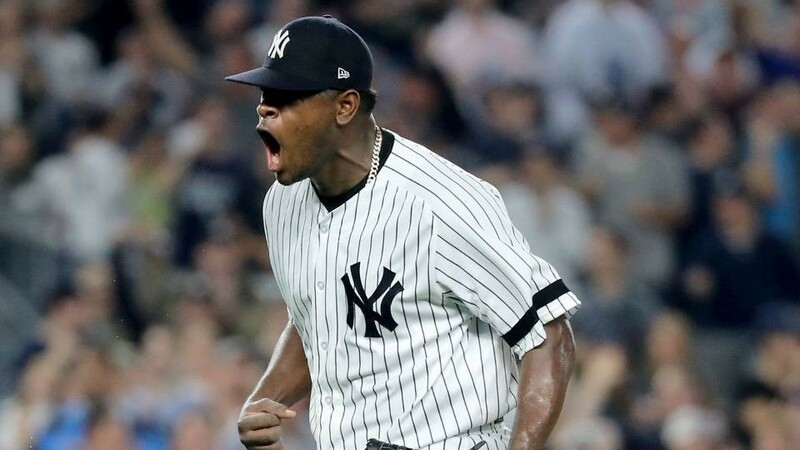 “We just feel like it’s Sevy’s time,” said New York Yankees Manager Aaron Boone on March 17, nearly full two weeks before the opening game of the season against the Toronto Blue Jays on March 29. Luis Severino, the 24 year old right-hander, has been handed not only the baseball, but the torch, as Masahiro Tanaka started the last three Yankees’ Opening Day games and CC Sabathia started six before that—-now they’re the Nos. two and three starters respectively in the rotation. The Yankees had one of the most successful rotations in all of baseball in 2017, posting a 3.72 ERA (fifth best in Major League Baseball), and, according to Will Wetzel of The Sports Quotient, they allowed one run or fewer in 53 starts. Severino, in particular, had a stellar first full season in the big league rotation. After being one of the league’s worst starters in 2016, going 0-8 with an 8.50 ERA in 11 starts, he broke out in 2017, finishing the regular season with a 14-6 record, a 2.98 ERA, a 1.04 WHIP and 230 strikeouts across 193 1/3 innings. Severino was named to the All-Star team and finished third in the Cy Young Award voting last season. The only blip, perhaps, on Severino’s performance in ‘17 was his complete melt-down in Game 1 of the American League Wild Card Series against the Minnesota Twins. After giving up a lead-off homer to Brian Dozier, the first batter he saw, and another to Eddie Rosario one batter later, he was pulled in the first inning, recording just one out and leaving his team in the hole 3-0. He went on to pitch well in Game 4 of the ALDS against the Cleveland Indians, posting a 3.86 ERA, giving up four hits, three runs, one walk, 9 strikeouts, and two home runs in a 7-3 win. Severino feels confident in his pitches and told Randy Miller that his goals this season were to stay healthy and pitch 200 innings during the regular season. Yankees fans can look forward to seeing Severino on the hill versus JA Happ of the Toronto Blue Jays on March 29. In two outings against Toronto last season, Severino pitched to a 3.78 ERA, giving up 14 hits, 3 home runs, 7 RBIs, 11 strikeouts, four walks—-Toronto batters had a .275 batting average against him. Severino is poised to have an even bigger impact on the rotation in 2018, as projected by Fangraphs’ Zips projections. Severino projects for 187 innings pitched, a 3.13 ERA, 28.1 strikeout percentage, and 6.1 base on balls percentage rate. Such a favorable projection, combined with the highest fastball velocity in the league at 97.6 miles per hour, per FanGraphs, should be indicators that Severino’s 2018 performance could propel him into even further elite realms. CHOOSE YOUR STATEMENTS AT STATEMENTGAMES.COM ON OUR FEATURED TOURNAMENT- JOIN FREE, AND WIN GREAT PRIZES.